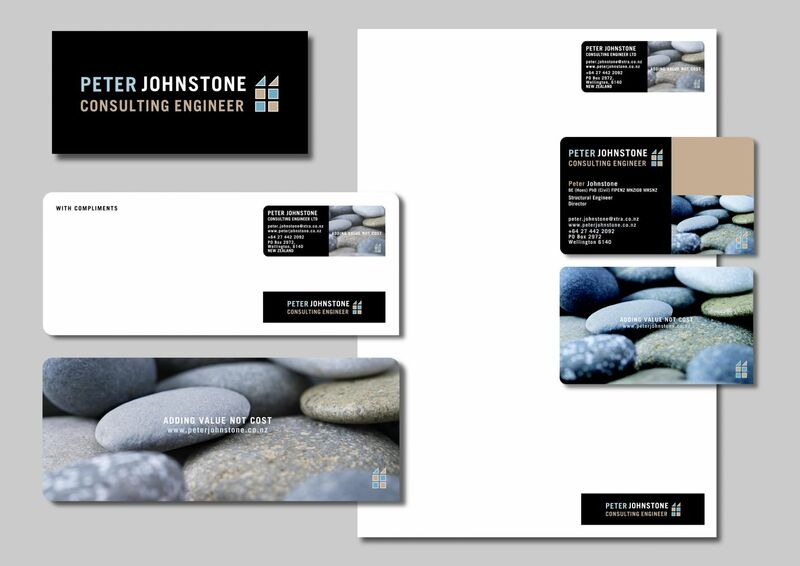 Brief: To create a fresh logo that reflects Peters name and his occupation which is a consulting engineer. Solution: The ‘look and feel’ was created by using modern fonts and colours. The logo reflects construction by using basic shapes, the squares are stacked and triangles added. Professional images of stones were also used to represent building stones and also the stone in Peters Surname, Johnstone.